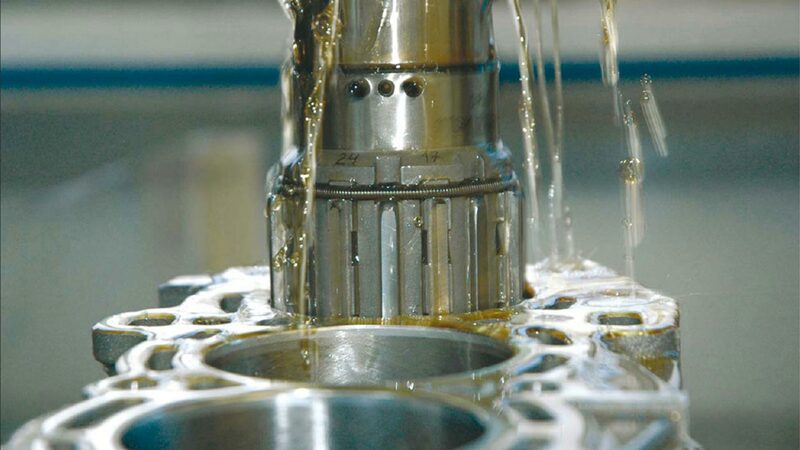 We carry a large selection of hone stones which in conjuction with Penrite honing oil allow us to achieve the best possible results for your engine.Today�s engines require different bore surface finishes to vintage engines. We have the experience and the techniques to achieve optimum efficiency in every aspect of honing from straightening bores and deglazing to plateau honing to achieve the best surface finish possible. We also specialize in torque plate honing which is essential in some engines to replicate the stresses put on an engine block after installing the cylinder head. This allows us to have confidence that our bores will be perfectly round, thereby maximizing almost instantaneous ring seal during the bedding in process.